Along with Automatic Emergency Braking, Blind Spot Detection with Rear Cross Traffic Alert, Lane Keep Assist with Lane Departure Warning, and Smart Cruise Control, there is a CO2 sensor embedded inside to sense when the HVAC system needs to clear out the stale cabin air. 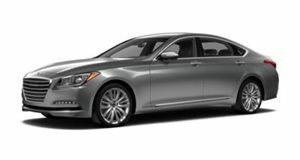 The cherry on top are a heads-up display and rear-view parking camera, parking sensors, and rear window shades that unfortunately aren't automatic as they are in the G90. 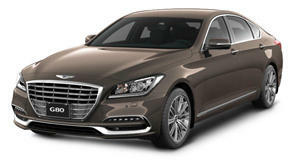 Like the G90, the G80 attempts to take over as much of the headache of getting from point A to B by including amenities like a handsfree automatic trunk, paddle shifters to help row all eight gears, and a sunroof.